"Lewiston" All Village of Lewiston Amenties are just around the corner. Walking, biking to the village will be a breeze. 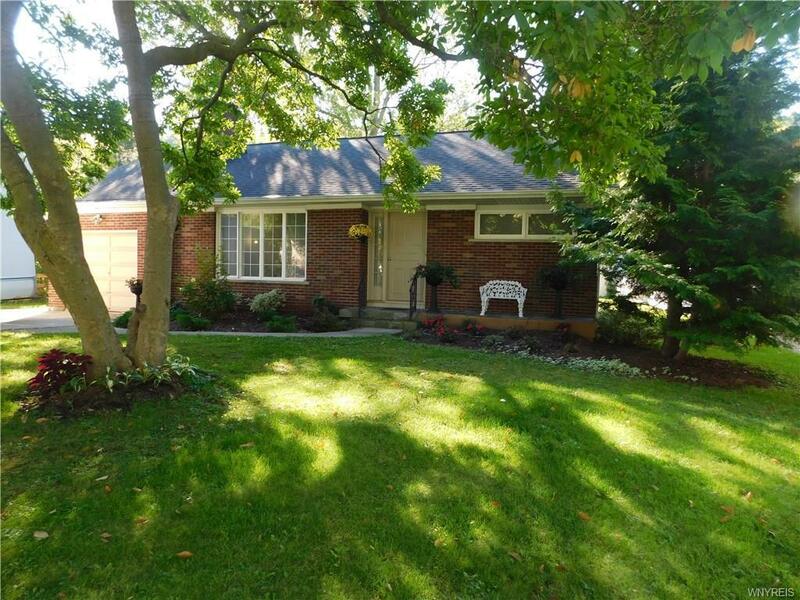 This all brick ranch is a rare find! Just place your furniture and move right in. Large living room dining room combo with beautiful new hardwood floors and gas fireplace. The added touch of crown molding finishes these rooms nicely. Remodeled bath with glass shower doors. Master bedroom with the convenience of a half bath. Remodeled kitchen with breakfast area and all appliances included. Florida room right off kitchen makes entertaining easy. office/Den. New flooring throughout. Partial fenced in back yard with patio. Central air. Full finished basement with full kitchen and appliances and new flooring with wood burning fireplace. Half bath in basement. Attached garage .